An essential guide to understanding children's friendships--from the coauthor of "Raising Cain"--this groundbreaking book brings to life the drama of childhood relationships, guiding parents to a deeper understanding of the motives and meanings of children's social behavior. In this heartwarming story, Charlie the caterpillar can't find anyone to play with him. Every time he asks if he can join the fun, he gets the same reply: "No! Now giddadda here!" Then spring arrives and Charlie comes out of his cocoon as a beautiful butterfly--and everyone wants him to be a part of their group. Enough Friendship to Go Around? Good things come in threes, especially with best friends Lindsey, Bella, and Kate. But friendships of three come with their own problems, like feeling left out, having to choose one friend over another, and feeling jealous when other people come into your circle.This format is suitable for individual girls and for groups such as those organized by school counselors, teachers, club and scout leaders, and so on. 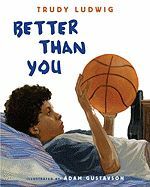 Reading this picture story book, about playing or not playing with Quentin, with your child can be a fun way to talk about friendship, conflicts with friends, and forgiveness. A note to parents and caregivers discusses the normal ups and downs of childhood friendships and how children argue and make up with friends as a means of practicing social roles that they will assume in later years. With exuberant pictures and a tongue-in-cheek sense of humor, the author of I Like Me! 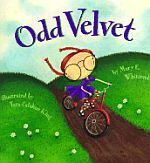 takes a light-hearted look at bratty behavior that will have children laughing in recognition while learning exactly how not to behave. Colored-pencil illustrations throughout. 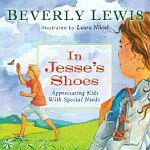 Lewis' endearing and educational text and Laura Nikiel's vivid, whimsical illustrations bring Jesse's world to life and help readers "walk" in the shoes of a special needs child. New in first grade, shy Layla is reluctant to participate in class activities because she feels her head scarf makes her look too different from her classmates. Milli could take a thing that was nothing and turn it into something. But no one in her town valued what Milli could do, and she was far too shy to insist. So she spent her time making brown and black shoes and plain old workboots. br> But then comes the day two vagabonds roll into town - crazy Jack and his dancing cat. Sturdy new boots are exactly what they need, but what can they give Milli in exchange? Dancing lessons, so she makes them the most beautiful shoes she can imagine and learns to feel brave and free. Starting out as the new kid in a new school can be like performing as an extra in a movie. You can feel alone, pushed to the side, and unsure of where you could possibly fit in or if there is a place for you. Thankfully, New Kid, New Scene was written just for you. This book gives the ins and outs of navigating new surroundings, making new friends (as well as staying in touch with old ones), and finding a place that feels like your own. When boys act out, get into fights, or become physically aggressive, we can't avoid noticing their bad behavior. But it is easy to miss the subtle signs of aggression in girls. The author focuses on these interactions and provides language for the indirect aggression that runs through the lives and friendships of girls. The book begins with the premise that girls are socialized to be sweet with a double bind: they must value friendships but not express the anger that might destroy them. Lacking cultural permission to acknowledge conflict, girls develop what Simmons calls a hidden culture of silent and indirect aggression. The author, who visited 30 schools and talked to 300 girls, catalogues chilling and heartbreaking acts of aggression, including the silent treatment, note-passing, glaring, gossiping, ganging up, fashion police, and being nice in private/mean in public. She decodes the vocabulary of these sneak attacks, explaining, for example, three ways to parse the meaning of I'm fat. The OH NO MO! Smarty Safety Series is a collection of delightfully illustrated children's books with photographic backgrounds, lending authenticity to each storyline which unfolds in easy to read rhyming verse. 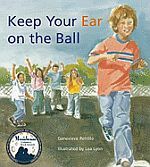 Each of the stories contains a valuable, memorable lesson for preschool children how to calmly handle a range of stressful situations. At the alarm catch cry of OH NO MO! Mo and his three best friends Archie, Luca and Wil use the advice they have learnt from the Smarty Safety Drills. Together the friends find they can help each other with any challenge they may encounter. Safety and Fun, Packaged as One is the theme of each book with the OH NO MO! 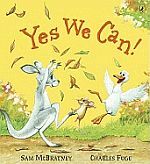 catch cry alerting the young reader to stop and think about how they would deal with the situation if they found themselves in the same position as Mo and his friends. With catchy verse and bright illustrations loaded with detail, this series is sure to bring these valuable lessons to light in a fun, engaging manner. Annotation: Roberta is welcomed by different groups on her first day at a new school, only to be told she does not fit in with them for some reason, but by the next day, members of each group have begun to see that they do not have to be alike in every way. Alexandra and Jenny have been best friends for a long time. But when Alexandra is momentarily dazzled by the glamour of a new girl at school, she's willing to do almost anything to get to be the cool girl's friend. Ultimately, she tells Jenny's biggest, most important secret?and just like that, Alexandra is in! But when Alexandra realizes what it feels like to lose her best friend, and sees the hurt she's caused, she knows she has to figure out a way to regain the relationship that's far more important to her than being invited to sit with the popular girls. Our Friendship Rules is both a lyrical story of forgiveness and a simple, sweet but instructive tale of how to get along. Helping your Daughter Survive Cliques, Gossip, Boyfriends & Other Realities of Adolescence. A young girl celebrating her birthday gets the best present of all--her relatives who are coming to her birthday party. As she greets them one by one, she also reflects on and embraces her place in her family and the world. When Robert's best friend Peter moves away, both are unhappy, but they learn that they can make new friends and still remain best friends. Annotation: When Robert's best friend Peter moves away, both are unhappy, but they learn that they can make new friends and still remain best friends. Many children identify friendships as being a vital part of achieving emotional well-being, but some children experience difficulties both initiating and maintaining friendships. This fun and accessible programme contains detailed instructions and photocopiable handouts for teaching children about friendship. The book combines group activities, individual work, homework exercises and games, and will be especially useful for groups containing children with developmental and social difficulties, such as ADHD and autism. Developed in an inclusive classroom, this programme will arm children with useful strategies to deal with difficult situations such as negative peer pressure and conflict. What is Friendship? is ideally suited for use with children aged 7-11, but can be adapted for younger children or older children with developmental difficulties. It includes all the resources required to facilitate the programme and can be delivered by any professional involved in the education or care of children. Successful friendships, according to Yager, are marked by trust, honesty, empathy and commonality characteristics that may be compromised when a once-supportive relationship turns sour. When this happens as it inevitably does in the course of one's life friends may become self-absorbed, overly dependent, highly critical or even betray one another. Underlying childhood issues, such as low self-esteem, intense sibling rivalry and abusive parenting often prevent adults from forming satisfactory friendships. The author outlines a variety of coping techniques that committed friends can follow as they work through negative patterns that are eroding their relationship. Considers the basics of friendships, Why friends hurt friends, Coping, Business, work and friends, and Breaking the pattern. 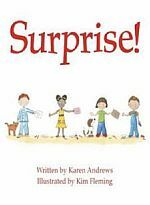 A little boy's anxieties on his first day at school are quickly forgotten when he makes a new friend.